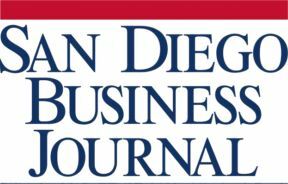 Each year, The San Diego Business Journal researches, publishes and recognizes companies from across the county as leaders in the field. For the second year in a row, Cahill & Campitiello was not only recognized as a Top Law Firm — but the firm also moved up 20 spots on the list. Way to go Larry and Madeline!